online every hour today from 9 a.m. ET through 9 p.m. ET.CLICK HERE to see the online exclusive deals. 1. Use the promo codes and links provided below only on the dates listed to receive the savings. 2. All deals are available only while supplies last. There are no back orders or rain checks unless specified by the retailer. 3. Exclusive deals are applicable only to the items specified below. The savings are not applicable to other items on each site. 4. Deals cannot be combined with other coupons and offers. 5. Contact retailers directly for any questions about products, pricing and delivery before ordering online. 6. Shipping rates indicated below are valid in the continental U.S. only. 7. You might experience temporary technical issues because of the high volume of traffic. Thanks for your patience. To suggest an exclusive deal for my consideration, connect with me directly at Facebook.com/Tory. If you have any trouble accessing a deal, you're welcome to email me directly through Sparkandhustle.com/tv/. I will answer you the same day. EXCLUSIVE DEAL ONLY FOR 'GMA LIVE!' VIEWERS. CLICK HERE. This unique, personalized gift will please a loved one with a sweet tooth. Choose from 101 gumballs, 10 giant gumballs or over 200 sugar-free in assorted colors. Then, personalize the jar lid with a message of your choice, up to 8 lines and 20 characters per line. Shipping ranges in between $6 to $9, depending on location. When your skin is less than perfect, treat blemishes with Tanda and clear them fast. Tanda Zap, called one of the best beauty products by New Beauty magazine, is an FDA cleared device that’s clinically proven to clear or fade acne blemishes in 24 hours. With use of blue light technology, sonic vibration and gentle warming, this pocket-sized tool doesn’t cause dryness, irritation or flakiness. Lightly place over the blemish until the vibration stops, which is about 2 minutes. Available in white or pink. Limit 2 per person. Free shipping! As seen in InStyle and sold in major high-end retailers, LightStim is one of the leaders in LED light technology. The LightStim for Wrinkles Mini is a brand new product and is first being introduced, exclusively for GMA viewers. Manufactured in the USA, this device is the first FDA cleared LED light for reducing fine lines and wrinkles on your whole face. The LightStim Mini is a travel version of the original LightStim, keeping the same power and effectiveness. Combat the signs of aging and get more radiant, youthful looking skin in as little as 6-8 weeks. Also included is 10mL of serum. Limit 2 per person. Free shipping! Turn your social media photos into a case for your tech gadgets. 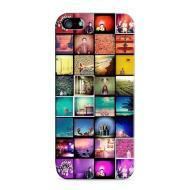 Casetagram brings your Instagram and Facebook photos to life with the ultimate customization experience. Upload your photos into your layout of choice and add filter options to change up the look. Available for iPhone 5/4S/4, iPod Touch 5/4, iPad 3/2, iPad Mini, Galaxy S III/II and Galaxy Note II/I. The hard cases feature an easy, snap-on design and come in frosty white and frosty charcoal colors. Receive your voucher immediately upon purchase via email and redeem by February 28, 2013. Limit 1 case per person. Free shipping! Easily create the popular stacked look with one accessory. Started by two Parisian girls who met in Rio, HIPANEMA allowed them to bring back some Brazilian glamour. 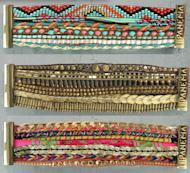 Made of multicolored threads and beads, choose from a variety of extremely detailed styles. The magnetic clasp makes it easy to put on and remove. Shipping is $4.95. The newest addition to the Wolfgang Puck collection is the 2-Slice Wide Slot Toaster. This kitchen staple features an electronic control with cancel button, bagel or frozen food function and five toast shade settings. Slide out the removable crumb tray for easy cleaning. Limit 1 per person. Shipping is $4. With a pattern like this, what’s not to love? Vine Street Market USA is a master of the reusable market bag, and you can use this tote for anything: work, grocery shopping and the gym. 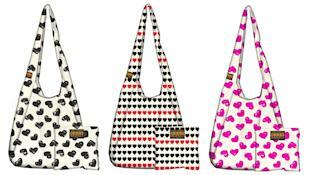 Choose from “I love hearts” or “Tossed Hearts,” available in hot pink or faded black. The canvas material is machine washable for easy cleaning. Limit 3 per person. Shipping is $5. Get glam by doing your nails right at home. Julep has been seen in various publications such as Allure and Marie Claire. This set includes everything that you need to create the perfect pedicure: six popular nail colors, daylight defense SPF, pedi prep exfoliant, foot file, toe separators and tote bag. Shipping is $3.99. An exciting new way to transform your favorite photos into a fun accessory. 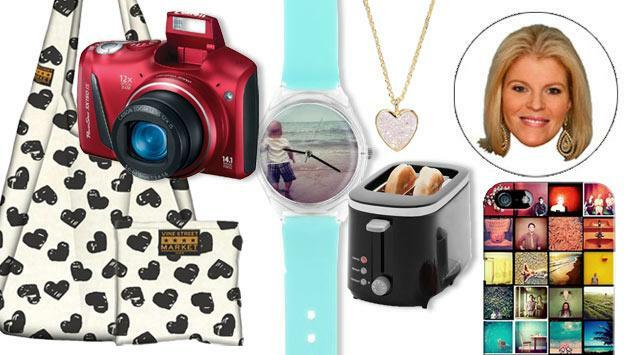 As seen on Oprah.com as suggested gift idea, May28th’s InstaWatch allows you to upload a photo from Instagram or your computer and place it on the face of a watch. 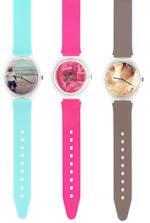 Choose from 14 band colors to complete the customization. Receive your voucher immediately upon purchase via email and redeem by February 28, 2013. Limit 2 per customer. Shipping is $5. The retro handset has gone cordless with POP Bluetooth. Native Union can be found in many retailers and is known for the original POP phone, inspired by the 1950s Bakelite style telephone. The recently introduced POP Bluetooth allows you to navigate your mobile device while you talk, reducing background noise for a clearer conversation and eliminating up to 96% of cell phone radiation. Charge the handset through a USB cord; a single charge lasts up to 8 hours of talk time. The Bluetooth signal range is up to 32 feet from device. Available in a variety of colors. Shipping is $6. Capture your best moments with crisp, clear images. 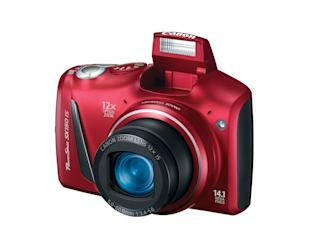 Canon is one of the leaders in consumer and digital imaging products -- this 14.1 megapixel camera comes in the color red and features a 3” color LCD display and 4x digital zoom. Also featuring a 720p high definition movie mode, allowing you to record video with audio. Limit 1 per customer. Free shipping! 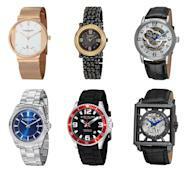 A classic accessory for both men and women, Stührling Original’s line of watches are designed to make a statement. Stührling’s high-quality Swiss timepieces pay homage to the early 1900s when the first skeleton watch was produced, featuring skeletonized dials and automatic movements. A large variety of options available. Free shipping! Want even more deals? Tory Johnson will reveal a new deal online every hour today from 9 a.m. ET through 9 p.m. ET. CLICK HERE to see the online exclusive deals. If you have any problems accessing a deal or you'd like to suggest one for future consideration, email Tory Johnson directly through sparkandhustle.com/tv. Tory can't respond to your message board comments below, but will respond if you email her directly. Dingdong Dantes says renewing with GMA is a "rebirth"